A stunning location to enjoy amazing sunsets, auroras, wildlife and wonderful coastal walks and cycle rides. Perfect for couples. The view from the property has been voted as the No 1 location in the world from which to view sunsets. 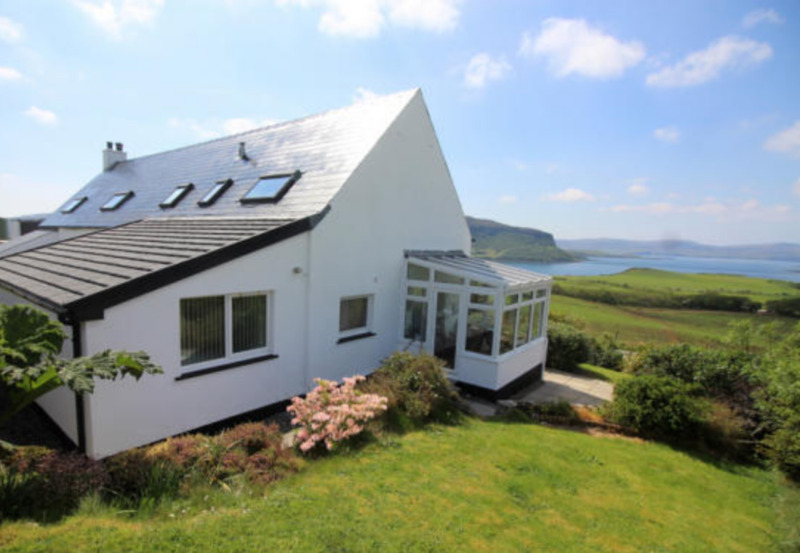 Brae Fasach is a self catering apartment linked to Brae Fasach Gallery. The accommodation is perfect for couples who wish to stay in a stunning location. There are beautiful views over Loch Bay towards the islands and the Outer Hebrides beyond. This can be enjoyed from the conservatory, voted the best room in the house.